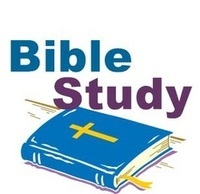 The goal of this adult Bible study class is to build faith through study, reflection, discussion and application of what is learned through a daily walk with Jesus Christ. Using DVD-based curricula in 4-6 week sessions, the class enjoys dynamic discussions and considers different points of view on topics ranging from biblical truths to current events. The class meets in the room to the left of the sanctuary/chancel choir loft as one faces the altar.